People who are involved in western riding, often have a multitude of uses for their horses and travel to events with them. Events like horse shows, trail rides, and rodeo events. When traveling to these events you take your saddle blankets, bridles, and other western tack with you. A trailer ride isn’t inherently dangerous for the expensive tack you haul to horse shows, trail rides, and other events. However, improper storage in the trailer can cause damage to your prized possessions, so follow these tips to keep your western tack safe. 1. Try not to store your saddle blanket wet. A wet wool saddle blanket offers the perfect environment for mold, mildew, and insect activity. If you use your saddle pad just before you put it in the trailer, it might still be wet with sweat. To protect saddle blankets, store them in the trailer with the wet side up. Drape them over the top of a saddle or saddle rack, or string a clothes line in the back of the trailer tack room. If you have access to a clothes dryer, throw your saddle blankets inside for 15 minutes before you put them in the trailer. This will dry them out so they don’t deteriorate while on the road. 2. Hang bridles and headstalls straight. When hanging bridles and headstalls, align the leather parts before you slip them on their hooks. Straighten the cheek pieces and reins so they aren’t twisted during the trailer ride. If possible, remove bits from bridles before you put them in the trailer. 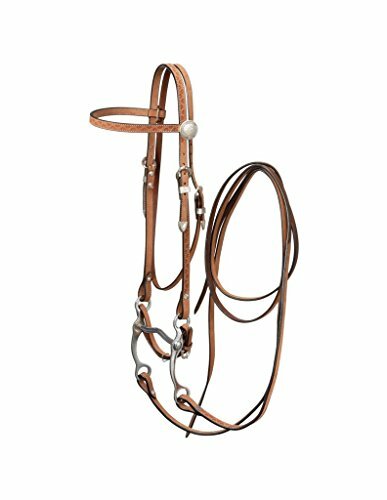 Hang each headstall on its own hook, separate from girths, tie-downs, halters, and other gear. 3. Clean bits before they go in the trailer. Since bits spend considerable time between the teeth of your equine partner, they often become caked with grime. Remove them from your bridles and scrub them before storing them in your trailer. Soak bits in hot water, then scrub them with a stiff-bristled brush. Avoid using bleach or any other chemical you wouldn’t want to come into contact with your horse’s mouth. Dry off your bits so they don’t rust after you put them in the trailer. 4. Don’t let leather touch the floor. The floor of your horse trailer tack room is littered with dirt, shavings, manure, and other contaminants. Store all saddles, bridles, Navajo saddle blankets, and other gear so they don’t touch the floor. This discourages insects from climbing up your tack, as well. You don’t want to arrive at your destination only to discover that your saddles have been snacks for resident bugs. If your saddle cover is dirty, wipe it down with a damp cloth or, if the manufacturer’s instructions permit it, throw it in the washing machine. When you don’t have a cover, improvise with drop cloths or old sheets. Horse blankets also work well because they are made of similar material to a saddle cover. 6. Lock the tack area of the trailer. Never leave your trailer tack room unlocked while unattended. Tack rooms are filled with expensive gear that might prove too tempting for an unscrupulous passerby. Store any small valuables inside locked tack trunks, as well. Locking the trailer while you’re on the road is also advised, just in case the door were to swing open from a faulty latch. 7. Put saddles on saddle stands. You might be tempted to store your saddles on the bulkhead, “fork down” on the horn. This can damage the saddle tree, so always use saddle stands or built-in racks. For extra padding underneath the saddle, put your western saddle blankets on the stand first, then place your saddles over them just like you would on the horse. Alternatively, use a cushioned stand. 8. Place a stick through stirrups. One problem with storing saddles in the trailer is the potential for the fenders and stirrups to become warped. To prevent this, thread a long stick through the stirrups so they’ll hang straight during your journey. A broom handle or riding crop will work well for this purpose. If you don’t have a suitable object, use twine or string to tie them instead. If you’re traveling with English saddles, as well, run up the stirrup irons so they don’t bang against your saddles and other equipment. Detach the girth and hang it from a rack rather than draping it over the saddle. Traveling with expensive tack can be unpredictable, but if you take care in packing the trailer, you won’t have any nasty surprises when you arrive at your destination. The important thing is to keep all leather and metal equipment separate so bumps in the road and sharp turns won’t cause damage. 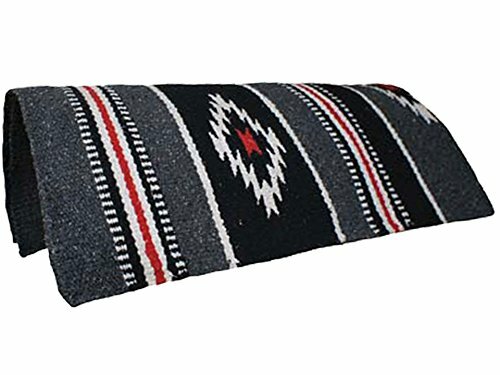 Remember to take great care of your saddle blankets, whether they are a Navajo saddle blankets, or a wool saddle blanket, as saddle blankets often are easy to forget because they aren’t among the most expensive of your gear. Taking good care of your horse tack is where you start taking good care of your horse. Great riding enjoyment to you! Great discussion of traveling with all of your Western Tack and how to best take care of. This includes saddle blankets, bridles, bits, saddle cover etc.